A real documentary from boy group B1A4 was aired for the first time. 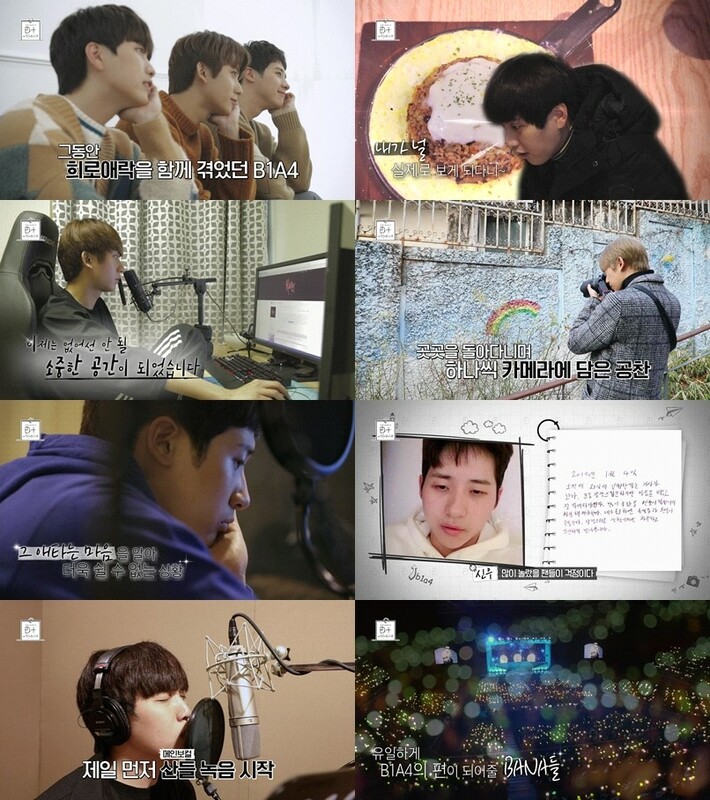 The real documentary "D+B1A4" by B1A4 unveiled for the first time on MBC's MUSIC at 12:10 p.m. on April 1. The real documentary "D+B1A4" is a documentary about how B1A4 has changed their system to three, preparing for the album, vowing to start a new career. It was aired on MBC's MUSIC twice in total on April 1 and April 8, with B1A4's album making and three people's daily lives, as well as Shin woo's final appearance before his military enlistment. In the first episode, you can see B1A4 working on the song, worrying about fans, thinking about the direction of the album to show the music that is more complete. In addition, the three members' daily lives is also unveiled, as well as the preparations for the fan meeting that took place in January and episodes until the complete of the new song. It also contains a diary written by B1A4 members every night, which is expected to unveil the details of the three people they had not known before, it is adding to the fans' curiosity. The second episode of "D+B1A4," a real-life documentary about everything on B1A4, is scheduled to premiere on MBC's MUSIC at 12:10 p.m. today.